First, a disclaimer. 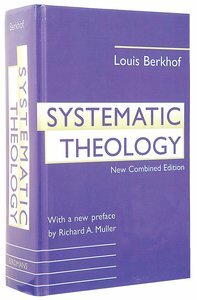 I am not a systematician or a theologian. As I said in an earlier post, I’m part of an awesome team that is Faithlife. One of my colleagues at Faithlife is Phil Gons, who has more knowledge of Systematic Theology (and systematic theologies) in his pinkie-toe than I will ever have. So after we completed the updated Grammars section of Exegetical Guide for Logos Now users, we thought about what types of resources (books) lend themselves to this sort of approach. One of the first thoughts was Systematic Theologies. Why wouldn’t someone want to know how their Systematic Theology books used Bible references in discussions about particular theological topics? If you’re a Logos Now subscriber, now you can do this. If I remember the numbers correctly, there are well over 100 different authors (some, like Barth, with multiple resources) classified. And the entire group involves over 600,000 Bible references. Each of them are classified in context according to the classic topics of Systematic Theology. 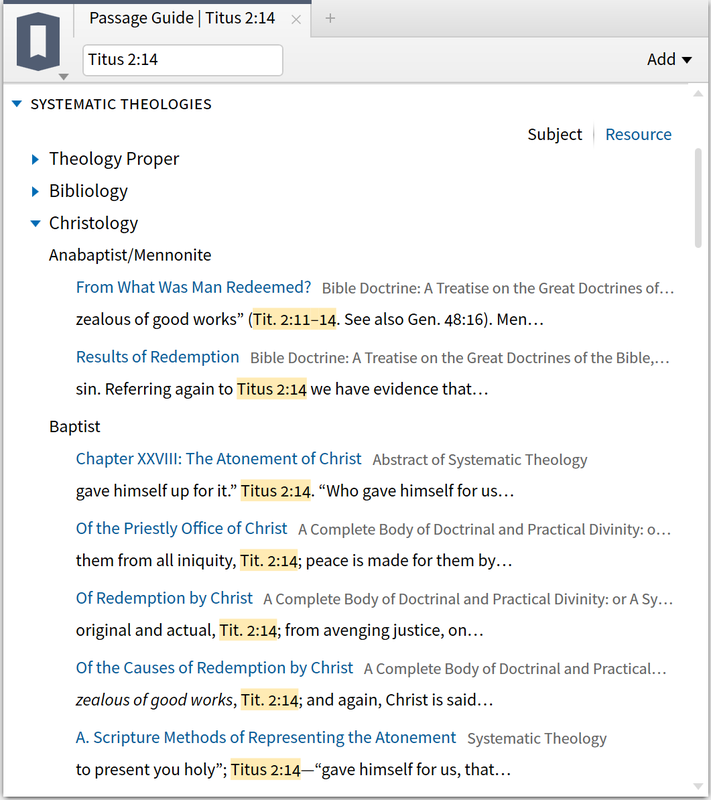 So now you can be studying a particular verse or section of Scripture and ask, “What do my systematic theologies say about this?” And you don’t just get a dump of references, you get an organized, classified list of topics and direct links to the point in the resource where your reference is classified as having to do with a particular topic. So when you want to know which systematic theologies discuss Titus 2:14 in a context having to do with Christology, you can. For someone like me, who knows the value of this but has no formal background or experience with systematic theologies, this is an incredible thing.